Keeping your roof in a proper state of repair is vital to your family and your property. However, doing so without the proper training and skill is very difficult. At Magnum Contracting Group, our East Meadow roofing contractors can help you with this important responsibility. Our highly skilled professionals specialize in installing, repairing, inspecting, and replacing roofing systems for both commercial and residential customers. 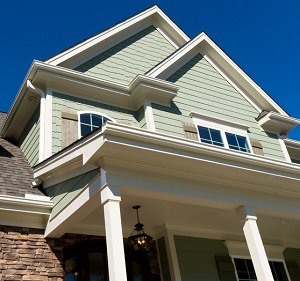 We work with all conventional roofing materials including shingles, metal, flat roofing, and tiles. The one constant in all of our work is our goal to achieve complete customer satisfaction. 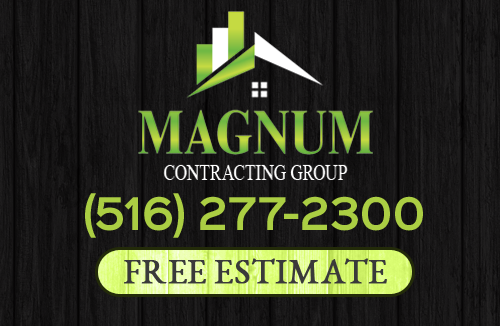 Call Magnum Contracting Group today if you want to hire an exceptional roofing contractor in East Meadow. Our polite and professional staff is eager to assist you in any way that we can. We can schedule your appointment today. Whether your roof has suffered minor incremental degradation or extensive damage from a recent storm, our East Meadow roof repairs team can help. Through our routine roof inspection services, we can keep your roofing system in the best condition possible at all times. If a major storm has harmed your roof, our emergency repair team is ready to assist you in the best possible manner. We can work hand-in-hand with you and your insurance company throughout the restoration process. With our assistance, your roof will be fully repaired in the quickest time period. At some point in time, every roofing system needs to be replaced. When the time comes, it is imperative that you hire a professionally licensed roofing contractor in East Meadow for assistance. At Magnum Contracting Group, our East Meadow roofing contractors are extremely adept at replacement projects. Our goal will be to add substantial, long-term value to your home or business. We will strive to install a new roof for you that beautifies and protects your property for decades to come. You and your family are guaranteed to be satisfied with the results. Your kitchen is the most important room of your home. As such, you can vastly improve how you and your family enjoy your property via a kitchen remodeling project. In order to make the most of the effort, you need to make changes that both have aesthetic and functional objectives. When our East Meadow remodeling contractors renovate a kitchen, we keep both of these goals in mind. Our professionals work with you to customize every aspect of your kitchen to the ways in which you and your family use it. We will not be satisfied with our work unless you are completely pleased with the results. If you are looking for a professional East Meadow roofing contractor then please call 516-277-2300 or complete our online request form.